Most teas, like green or black, contain a compound called oxalic acid. It’s also found in chocolate, certain fruits, vegetables, and raw leafy greens. 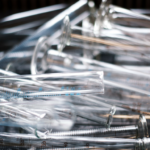 Normally, oxalic acid is naturally eliminated through your urine. But when you don’t drink enough water, consume too much sugar, and have a diet high in oxalic acid, oxalate crystals can form. This is one of the most common causes of kidney stones. But Rooibos Tea doesn’t contain oxalates. That’s why it’s a great alternative to green or black tea for those who are prone to kidney stones. 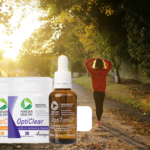 Across the world, we are seeing a huge move towards alternative and more natural ways of treating illnesses, such as heart disease, which is primarily a result of poor lifestyle behaviours. These natural methods include everything from diet, exercise, and quitting smoking to destressing via music therapy, meditation, and even drinking home-brewed Rooibos Tea. Spanish researchers also found that drinking Rooibos can prevent the development of heart disease by preventing the liver from storing excessive fat under the skin and around major organs. 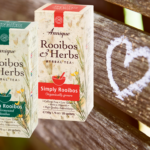 There is a mounting body of scientific evidence which shows that Rooibos Tea is a potent antioxidant, has anti-inflammatory, antihypertensive and cholesterol lowering properties. Obesity is a potent risk factor for the development of kidney disease, but by swapping just one cup of coffee for Rooibos Tea every day, you could lose as much as a kilo every month. Rooibos Tea contains no fat or carbohydrates and its weightloss properties further extends to inhibiting fat-storage hormones within the body. Rooibos’ unique bioflavonoid, Aspalathin, helps to reduce stress hormones that trigger hunger and fat storage, typically associated with high blood pressure, heart disease, metabolic syndrome, insulin resistance and Type 2 diabetes. In a nutshell, Rooibos Tea can prevent the body from storing and even forming new fat cells. This tea contains Barosma Betulina -the true buchu* of Africa. Buchu has long been used in medicinal applications and is an aromatic, antiseptic herb that counteracts sinus, relieves fever, blood-sugar fluctuations and water retention.